Amid all the hand-wringing, shirt-rending and kicking of the chancellor’s shins that has followed the UK government’s scrapping of the proposed zero carbon standard (ZCS) for new dwellings, it is important to reflect on why the standard was proposed, whether the emerging standard fulfilled its promise, and whether scrapping it may not actually be a calamity but an opportunity to do better. Energy use in dwellings is responsible for at least 25% of UK national greenhouse gas emissions, the rate of replacement of dwellings is around 0.5% per year, and over 80% of the homes we have today will still exist in 2050, so unless we deal with the existing stock there is no chance of meeting our national emissions reduction targets. However, the new dwellings built in any year are responsible for only 0.3% of that year’s domestic emissions – the remaining 99.7% are from existing homes, so marginal changes in the energy efficiency of new homes make very little difference overall, at least in the short term. However, it is a good principle that the many new dwellings that we must build over the next few years should not be allowed to add to the burden of emissions associated with domestic energy use, because reducing the emissions from the existing housing stock is quite challenging enough. Thus the reason for developing the ZCS was essentially symbolic – ‘zero carbon’ was good political rhetoric, it provided good sound-bites, but most of all it encouraged the house-building industry to rise to the challenge of climate change. Unfortunately the industry failed to do so. The first mistake was setting the standard at ‘zero’ (not to mention failing to define what that means). Experience of energy efficiency in buildings taught us long ago that the law of diminishing returns applies – reducing energy use or the associated emissions to zero is hugely more challenging and expensive than reducing them to a lesser but still significant extent. The last 10% of reduction accounts for approximately half the cost, so we need to position our standards optimally on the cost-effectiveness curve. The European Union’s forthcoming nearly zero energy building (NZEB) standard acknowledges this, the ZCS did not. The second mistake was giving the development of the ZCS to the house-building industry, in the guise of the Zero Carbon Hub. At the National Home Energy Rating conference in 1991 Willy Rickett, then undersecretary of the Energy Efficiency Office, remarked that in his experience “the only way to improve the energy performance of new homes is to regulate for it”. Nothing has happened since then to suggest that he was wrong – it is difficult to identify any other industry with so little interest in improving the performance of its products except in response to regulation. So giving the zero carbon challenge to the house builders was like offering the poachers the position of gamekeeper. And so it proved: house builders engaged with the Hub did everything they could to resist, dilute and delay the development of the standard. An example of this comes from my experience representing the RIBA on the Hub’s carbon compliance task group. Months of work by more than thirty people culminated in a final, adversarial all-day meeting at which the recommended on-site carbon standard was to be agreed by 4pm. At 7pm we were still there: the house builders were in one room, almost everyone else was in another room, and the chairman was shuttling between them with a notebook, like Henry Kissinger trying to broker peace in the Middle East. An agreement was eventually reached and reported to the Department of Communities and Local Government, but within days the house builders had sought separate meetings with ministers to undermine it. Consequently all the loose ends presented to the minister for guidance or decisions received little or no response. The ZCS that emerged from this farcical process was inevitably the result of a series of compromises with the house builders and by politicians. Unregulated energy use (associated with cooking, portable lighting and appliances) was excluded. The fabric energy efficiency standard (FEES) was set too low, failing to acknowledge the ‘fabric first’ approach to sound investment in energy efficiency. Too much reliance was placed on offsetting emissions by means of roof-top solar PV (in some cases the PV panel area exceeded the roof area available). The boundary between the carbon compliance standard (CCS) and off-site ‘allowable solutions’ was blurred – some house builders saw no need for the CCS, suggesting that FEES and allowable solutions alone were sufficient. The allowable solutions carbon-offsetting scheme emerged as a key component of the ZCS, despite being fiendishly complicated and expensive, practically undeliverable as regulation, and making the viability of housing development highly sensitive to the market price of carbon. Lots of loose ends were left. How to deal with high-rise housing (with not enough roof area for renewables)? Whether to use local or national weather data? Whether to vary the standard regionally to reflect differences in weather? Whether to allow tradingoff between dwellings within blocks or within developments? Whether allowable solutions would be a national scheme, or local schemes administered by local authorities or companies, or internal to housing organisations (thus providing funding for retrofit) or internal to house builders? How to sell new ‘zero carbon’ homes to purchasers who would subsequently receive substantial energy bills? Technically, the ZCS was never well-founded in building physics or practical experience. Most of the analyses were based on modelling with a modified version of the Sap energy rating software (decried by some as “merely a compliance tool”) rather than with a more robust dynamic model, or even PHPP. Promotion of the ZCS as an as-built standard rather than a design standard resulted in a costly, time-consuming and largely unproductive diversion to investigate the so-called ‘performance gap’ but ignored the problem of how as-built performance could be distinguished, cost-effectively, from as-occupied performance. 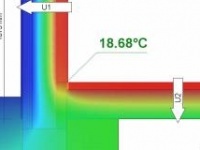 Meanwhile the critical role of ventilation in well-insulated, airtight dwellings and the significant risk of summer overheating were acknowledged and investigated too late in the day, and not adequately resolved. Against this background, the politically adept house building industry saw an opportunity in the recent election of a Conservative government to argue that the ZCS was too complex and expensive, and would inhibit the much clearer political objective of building a very large number of new homes as quickly as possible. It is hardly surprising that the government then looked at the technical weakness, complexity and cost of the ZCS and quickly decided to scrap it. Where does this leave us? Rather than bemoaning the loss of an unsound and undeliverable standard, we should be grasping the opportunity to promote a better one. Unless the UK decides to withdraw from the European Union after the referendum in 2017, we will be obliged to implement the NZEB standard for all new buildings by 2020. Thus we have five years to develop, promote and establish a simple, technically robust and cost-effective standard that is deliverable as regulation, and to present it to the government, after 2017, as a solution to their European obligation rather than a problem. We should not mourn for the lost ZCS but treat it as a learning experience, at every level. The passive house standard is very well placed to at least form the basis of the standard we eventually adopt, if not to become the standard itself. It is based on building physics, practical experience and monitored performance, and it is underpinned by sound (if somewhat clunky) design and compliance assessment software in PHPP. It includes challenging but realistic targets for primary energy use, space heating demand, ventilation air change rate, internal temperature, fabric insulation, airtightness and thermal bridging, and it demands evidence about how those targets will be met. There is an emerging infrastructure of design, assessment and certification experience and expertise, which could be developed and adapted locally in response to the ‘not invented here’ syndrome. 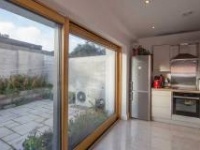 Most importantly, the passive house standard is an as-built standard that doesn’t come with a performance gap, a ventilation blind-spot or a significant overheating risk – all of those issues are taken into account and dealt with in a technically robust way. The strength of the passive house approach is that it recognises that the performance gap is in reality an ‘attention to detail deficit’ that runs through the design and construction process. 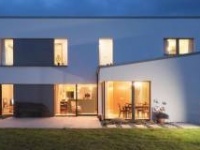 The passive house approach, supported by PHPP, identifies the details that are important and forces both the designer and the builder to pay attention to them. 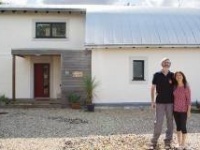 There is much now to do to make the passive house standard (or something very similar) palatable to politicians, house builders and the house-buying public. At the very least we should be promoting the passive house standard as a ‘deemed to satisfy’ alternative to whatever NZEB standard emerges, so that architects and progressive house builders will have a choice of compliance methods. We should not underestimate the challenge: I remember a suggestion that passive house might have something to offer, made at a meeting of the Hub’s energy work group, resulting in rolling eyes and a sharp intake of breath around the table. Some of those present were engaged with the Hub in order to avoid the imposition of a standard they saw as too complex and too expensive. Does that sound familiar? Technical and political re-education and rehabilitation are required. One positive outcome of the ZCS debacle is that the manufacturers and suppliers of building materials and products have been gearing up to supply the industry with the components needed for energy efficient homes: insulation, high performance windows, ventilation systems, etc. Many of these organisations serve the European market, so their investment and innovation have been driven as much by the NZEB standard as by the ZCS, and will not be lost. However, suppliers and their investors need to be reassured that there will be a market here for products that help to deliver energy efficiency. We also need to avoid becoming the dumpingground for obsolete end-of-line products that do not meet forthcoming European standards but might find a less exacting market here; this happened with domestic boilers when the SEDBUK efficiency standard was introduced in England and Wales – the stock of non-compliant boilers was quickly exported to Scotland and Ireland. For the immediate future, the NZEB comes with an ‘optimality test’ of cost-effectiveness, and some people in the industry are already suggesting that current building regulations standards pass that test, so nothing more is needed. The first objective should be to dispel that myth. There is plenty of evidence that new homes can be built to the passive house standard within the usual cost limits for social housing, so it ought to be cost-effective for house builders to do that as well. Paraphrasing Churchill’s famous words, the demise of the zero carbon standard is not the beginning of the end for energy efficiency in new buildings, but it might just be the end of the beginning. There are more battles to fight, and the industry should look forward, with a view to presenting the chancellor with solutions to emerging problems rather than admonishing him for taking a decision that couldn’t realistically have been different. Peter Rickaby is director of Rickaby Thompson Associates energy + sustainability consultants, a non-executive director of the Centre of Refurbishment Excellence (CoRE) a member of the board of trustees of the National Energy Foundation (NEF) and a recently retired member of the RIBA sustainable futures group. The views expressed in this article are his own and do not necessarily reflect the views of CoRE, the NEF or the RIBA.